Traditional owners and custodians, the Bindal and Wulgurukaba People are the first people to have lived in the Townsville region. 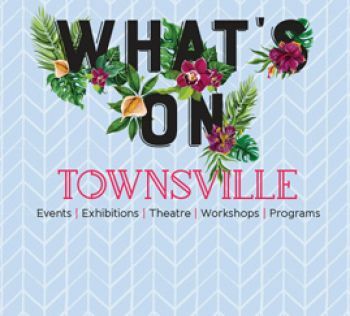 When Europeans first arrived in Townsville, they presumed that no one occupied or owned the land because there were no boundaries, marked by farms or fences. However the Bindal and Wulgurukaba Peoples had been living here for many, many generations. Archaeological sites near Townsville have been dated over 10,000 years old. The Bindal people call the country “Thul Garrie Waja”. An important symbol for the Bindal people is the shooting star. They believe that wherever the star fell, or the the direction the star fell meant there was either danger coming or someone from that direction was in need of help or in danger. The Wulgurukaba people call their country “Gurrumbilbarra” Wulgurukaba means “canoe people”. An important symbol of the Wulgurukaba people is the carpet Snake. Wulgurukabas creation story tells the story of the creation snake that comes down from the Herbert River, went out to sea creating the Hichinbrook Channel and down to Palm and Magnetic Islands. His body broke up leaving parts along the coast. The tail of the snake is at Halifax Bay, his body is at Palm Island, While his head rests at Arcadia, Magnetic Island. Visit our CityLibraries website for a range of information and links for local indigenous community members and the wider community.